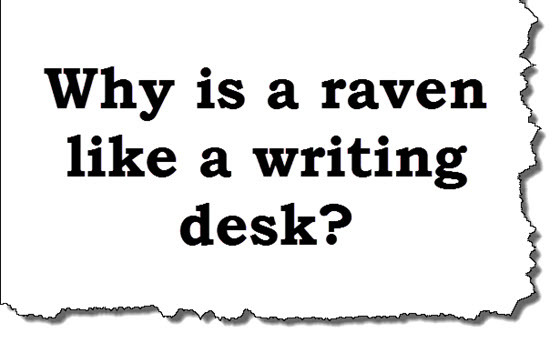 The Mad Hatter asks the curious riddle "Why is a raven like a writing desk" in Alice's Adventures in Wonderland. Find a way to incorporate a riddle into a story. Do you have a character that likes riddles? Is there a riddle that needs to be solved by your characters as part of an adventure? You could also use the riddle you come up with in a poem. Put on your Mad Hatter hat and get riddling.